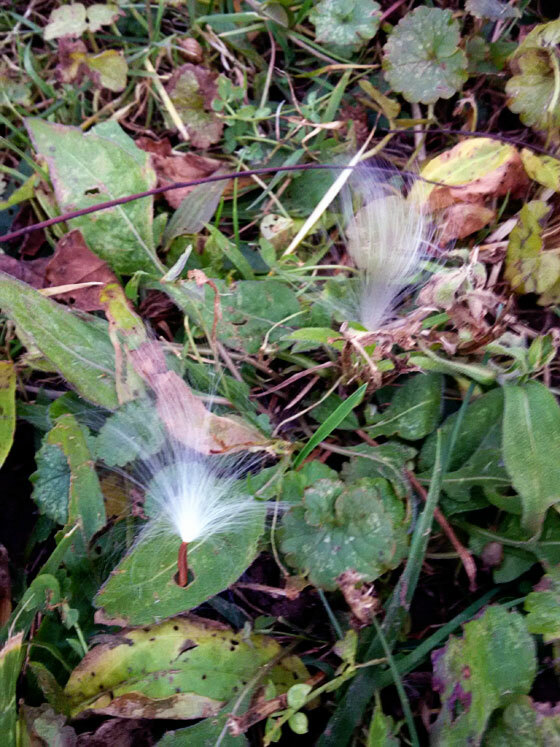 The milkweed has burst. Across the farm, fluffy white “snow” is flying around. 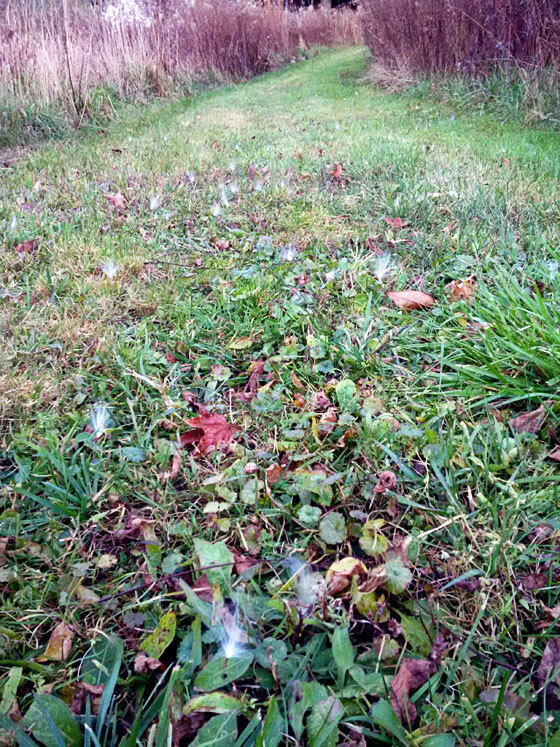 All the way up the trail from the pond, the fuzzy seeds are sprinkled over the grass. 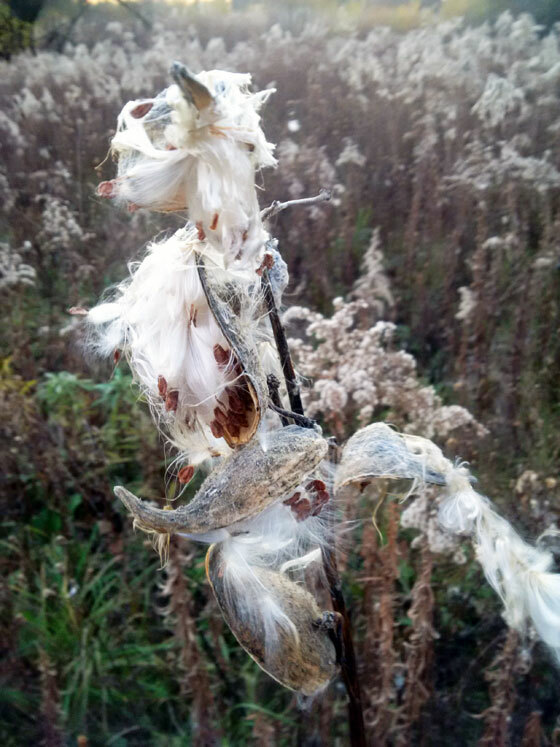 Milkweed is precious because it’s the one and only food for Monarch butterflies. We seem to have a bumper crop of seeds this year, so I’m hoping this means more plants next season. I dunno whether they’re area-specific. I tried planting some of our seeds in one of our flower gardens, but they didn’t sprout. Maybe there’s some trick to it?